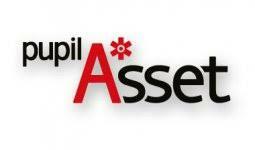 Pupil Asset is our preferred method of communication with parents and carers, it allows us to ensure you receive important information about your child and our school activities and cuts printing costs substantially, which means we have more to spend on learning resources for the children..
We use Pupil Asset to text parents with important information or in emergencies, send out our weekly newsletter, enable parents to authorise trips and complete permission slips online (from September 2018), report absences and to complete lunch orders online. If you are a parent who does not live with your child and are not already registered on Pupil Asset and would like to keep up to date with school information please contact the school office on 01493 750322 to make sure we have your current email address. Please note it is parents responsibility to keep their information and details up to date. If you have any problems registering or logging in please contact the school office.